If you’re looking for the edge, you need to stay at the top of the food chain. 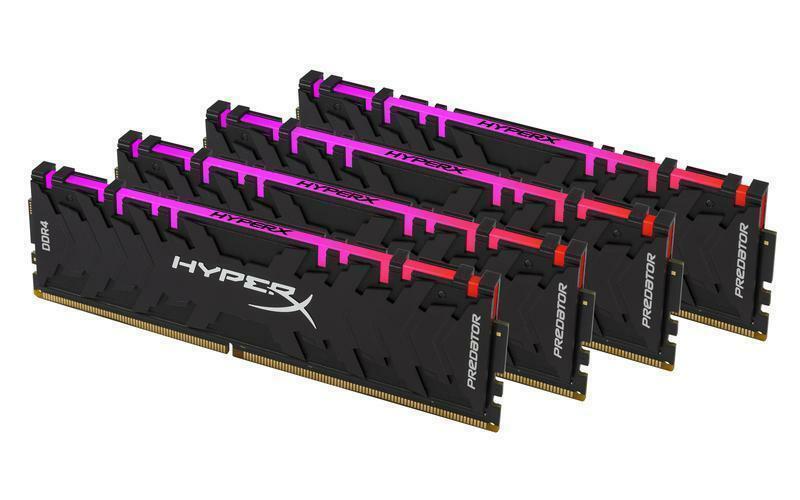 Ultra-fast HyperX Predator DDR4 can provide the performance1, while brilliant Predator DDR4 RGB will upgrade both your system’s speed and style. Set up2 your unique look and keep it synchronised with HyperX Predator DDR4 RGB’s Infrared Sync technology, no cables required. Predator DDR4’s aggressive black heat spreader ensures that it both looks and stays cool. Boost your frame rate, keep your streams smooth and power through your highlight reel rendering with speeds of up to 4133MHz3 and low CL12–CL19 latencies. It’s available in 4GB–16GB single modules and kits of 2, 4 and 8 with capacities of 8GB–128GB. The Intel XMP-ready and certified profiles are optimised for Intel’s latest chipsets and are compatible with many of AMD’s latest chipsets – just select the profile and you’re ready to go. 100 per cent factory tested at speed, and backed by a lifetime warranty, dependable Predator DDR4 RGB gives you the best of both worlds: extreme performance and maximum peace of mind. Predator DDR4 gives your system a boost of stunning style that you can customise with motherboard RGB software, and you can keep it all in sync, thanks to HyperX’s Infrared Sync technology. Give your rig a touch of style and speed thanks to Predator DDR4’s edgy black heat spreader and PCB. 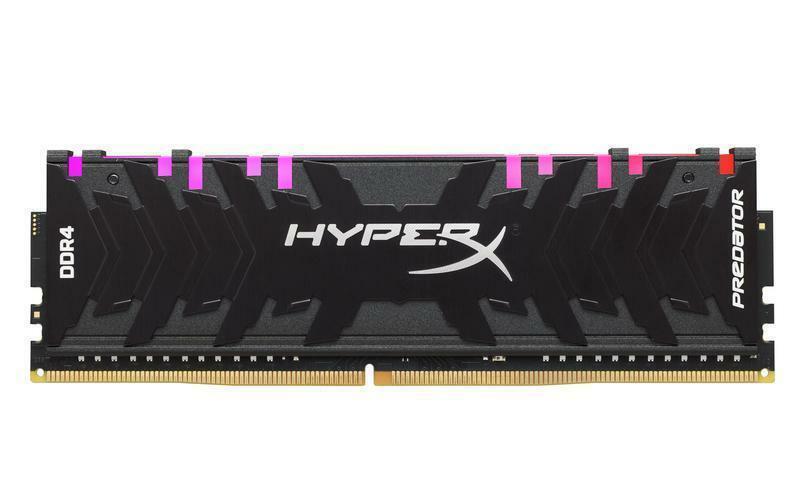 HyperX Predator DDR4 is thoroughly tested and designed to complement the latest Intel and AMD platforms to provide faster gaming, video editing, rendering and better performance. 1. The specification of the extreme overclocking modules listed on this page may be beyond the capabilities of your system hardware. Careful selection of all system components (e.g. CPU, motherboard, PSU) is required to ensure these modules will function as intended. These kits are thoroughly tested and verified in house to run at the listed speed. As a backup we include a 2nd XMP profile at a slower clock speed so you can still achieve great performance if your system cannot handle the included highest speed XMP profile. 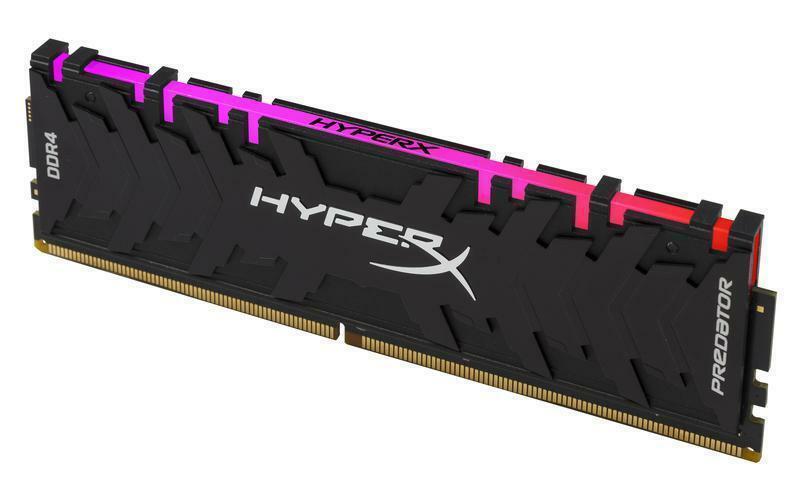 As a guide you can find the processors and motherboard HyperX used to perform the Intel XMP certification on this page: http://www.intel.com/content/www/us/en/gaming/extreme-memory-profile-xmp.html. This is not a guarantee of compatibility in your system configuration. We cannot guarantee compatibility with all systems; these modules should be installed and used at your own risk. 2. Lighting customizable with motherboard RGB control software. RGB customisation support through third-party software may vary. 3. 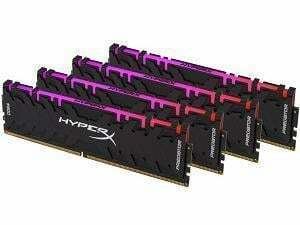 Only selected motherboards are able to achieve speeds of DDR4-4000 and above. Check motherboard Qualified Vendor Lists (QVL) to verify Predator high-speed support on vendor website and/or Intel XMP certified list. 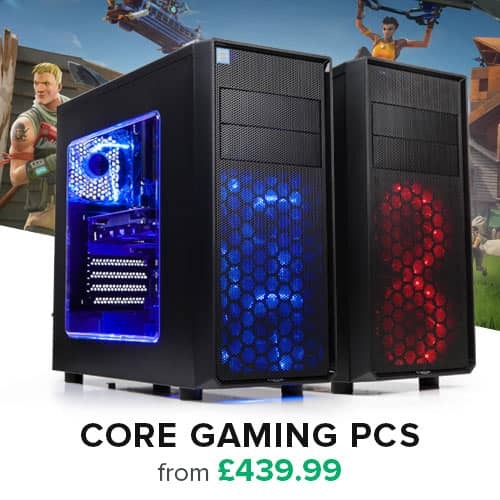 Premium system cooling (CPU and case) required for high-speed memory stability. Intel X or K series processors are recommended.